Here at European Springs, we always like to show you the incredible variety of springs that we have on offer, and have done so in several of our blogs of late. However, we&apos;re certainly not out of spring types yet, and so today we will be taking a look at another spring that we&apos;ve yet to cover. The spring that we are looking at is the motor spring. Motor springs are simply a spiral of metal ribbon, and they are very similar to torsion springs in many respects. They use a design and template that is almost the duplicate of a stressed constant force spring, and their distinct form means that they can imbue a mechanism with rotational energy by way of the shaft that is attached to the spring. Where one spring is not enough, multiple motor springs can be combined to achieve more torque, although even one of these small components can create 10-20 turns of spring force singlehandedly if necessary. Motor springs are usually made from stainless steel, and this material is chosen due to its very long fatigue life. 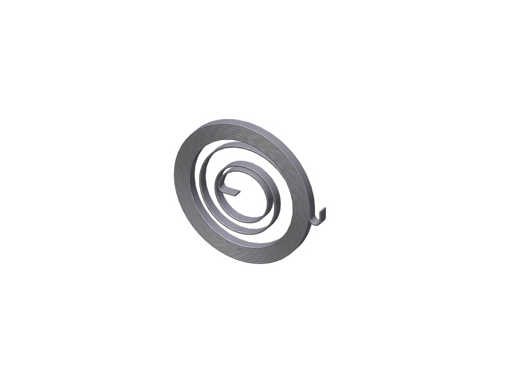 They are manufactured using an automated procedure to ensure that the individual diameters within each coil are ideally implemented to very exacting dimensions. We&apos;ve been manufacturing motor springs since 1948, and so we know exactly how to make a high quality product. Like many of our springs, we often elect to treat the metal of our motor springs to achieve more specific properties. For example, if we know that you&apos;ll be using our motor springs en-masse, then we&apos;ll coat each component in a thin band of nylon, as this small measure is just what it takes to minimise the excessive friction that might otherwise build up. Motor springs are used in many applications, but one of the most common places that you&apos;ll find them is undoubtedly the electric power industry. In this capacity, they are used to generate power, enable long cables to be retracted, form the basis of drive mechanisms and enable linear movement to be achieved and measured in various systems (such as windscreen wipers). Like many springs, they are extremely flexible, and so you&apos;ll also find them housed within the toys of older children, and some closely related springs are even used within clocks or watches. As you&apos;ll know by now, our catalogue of springs and pressings is almost limitless, so whether you are looking for a bulk load of common compression springs, or a more specific type of component like the motor spring, we are undoubtedly the best place to come. If you&apos;d like to find out more, please contact us now.